One distinction between the vast majority of Protestant denominations and those of the Roman Catholic Church and Orthodox Church is the lack of monasteries and a monastic class. What is an overview of why Protestant denominations generally don't have monks? Protestant negativity toward monasticism can be traced back to the Reformers, particularly Martin Luther. Luther was himself a monk, and after his conversion, he became progressively more opposed to the practice. In 1537, he wrote that monastic vows "must be absolutely abolished." He also frequently and enthusiastically attacked monasticism in his writings and sermons. Other reformers, like John Calvin, followed him. Calvin devotes a large portion of Book 4, Chapter 13 of his Institutes to the question. He speaks somewhat favorably of Augustine's depictions of early monasticism, but he widely criticizes the 16th-century version, saying that "no order of men is more polluted by all sorts of foul vices" (4.13.15) and using words like "abominable" and "pestilential" to describe monasticism and its errors (4.13.12). So many wicked opinions are inherent in the vows, namely, that they justify, that they constitute Christian perfection, that they keep the counsels and commandments, that they have works of supererogation. All these things, since they are false and empty, make vows null and void. Calvin and Luther's objections to the practice follow along these same lines, and also include denunciations of the "idleness" of monastics (Calvin, 4.13.10). Given these objections, and the enthusiastic criticism of the practice by these and other early Protestant leaders, it's not surprising that monasticism has not generally existed among Protestants. An example of early Protestant reaction against suspected monasticism can be found in a 1641 Puritan pamphlet entitled The Arminian Nunnery, written in relation to a small religious community called Little Gidding. The author's initial concerns include women "watching and praying all night," their "canonical hours," and the decorations of their chapel, all of which "strongly savour of Superstition and Popery." These concerns were not assuaged by the fact that two of the women, thirty and thirty-two years of age, were virgins who had given themselves to fasting and prayer. The author attacks this as "a contemplative idle life" that insinuates that other callings are not service to God. He admits the point that the women "had made no Vows," but finds many vestiges of Catholicism worthy of criticism. The Arminian Nunnery thus mirrors several of the criticisms mentioned above, particularly those of rejection of marriage, the elevation of monasticism above other professions, the concern over vows, and the idleness of monastics. Some modern Protestant "monastic" communities exist, among Anglicans and more generally within Protestantism. Notably, other than in the most conservative Anglican orders, even these tend to avoid at least some of the issues raised in Augsburg, by relaxing or not requiring vows of celibacy, poverty, or obedience. Depending upon your usage of the word "monasticism" may render your question void. There are many Protestant groups who choose to 1) Live communally, 2) Bind themselves by communal rules, 3) Dedicate their community unto the service of the Lord and the help of the poor. The last thing any one claiming to be Christian, be they Protestant, Catholic or whatever, is separate themselves from society for some idea that doing so is God ordained or even God pleasing. The command is to " Go into the world..." Mt.28:19,20, not cloister oneself on some mountain top. When we read " Come out and be separate,"2 Cor.6:14-18, the context does not command us to pretend we are so pious as to look down our nose at the un-believers. This is a major fault of going into hiding on some mountain top. Besides that, if a psycho-evaluation were done on such who do these things, piety would not be found to be the justifying cause. Denominations like to put rules of their own on their own which Christ condemns as in Mt.15. See Col.2:20 to close. Not the answer you're looking for? 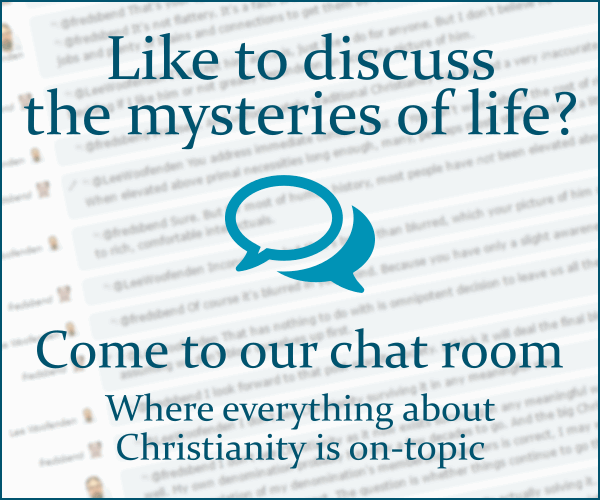 Browse other questions tagged protestantism monasticism or ask your own question. Why aren't there any Baptist monasteries? Is asceticism defendable under a Christian world view? Why (and when) did the empty cross v.s. crucifix split happen? Is 'Non-Catholic Non-Orthodox Modern Western Denomination' an ok definition of Protestant? What part do Monks play in the Christian church? How are Orthodox monastic names chosen?